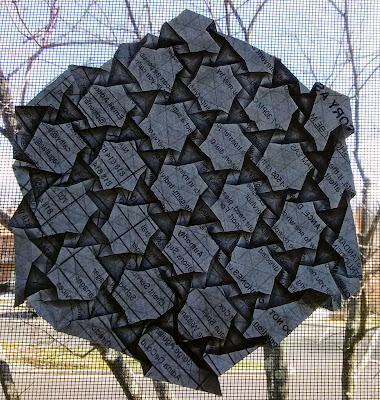 Origami tessellations fascinate me. Ever since I first saw the spread hex tessellation on youtube I've been obsessed. 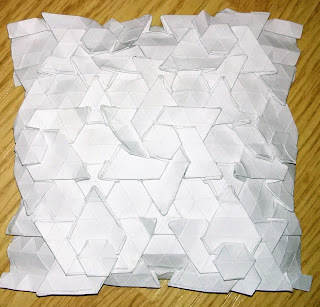 Eric Gjerde's book on tessellations really taught me a lot as did Sara Adams youtube channel. This is a first draft. 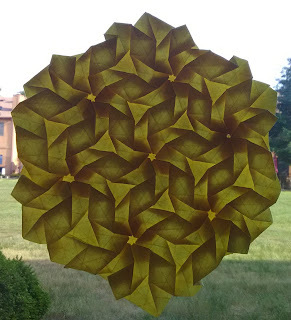 A hexagon twist with a traditional petal weave pattern following. Then I added repeating petals and filled in the gaps with the natural folds that fit. Both images are of the same piece. One sheet of paper. Classic triangle grid. It's much more interesting in the second photo where it's backlit. It's a pretty basic design if you're familiar with tessellating paper. Still, it gives a nice appearance. I just used regular copy paper which I turned into a square before adding the triangle grid. I actually find classic printer paper to be a little easier to work with when tessellating. It's sturdy. 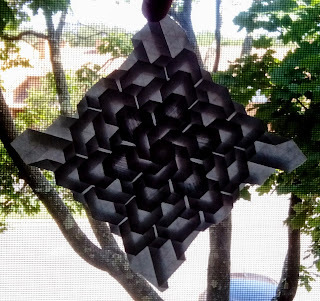 While the usual origami paper tends to weaken too quickly after a series of many folds. The plain white paper also has a nice effect when backlit against a window. 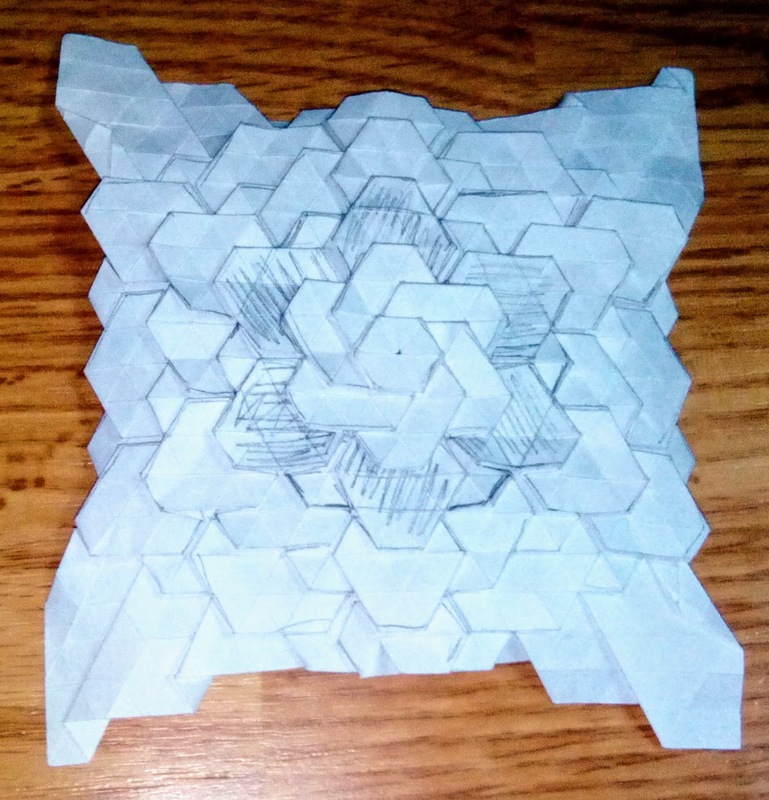 When I've recreated the model for a second time, I'll try unfolding the original to obtain a crease pattern to share. But I'm sure anyone familiar with the process will have no trouble figuring it out on their own.